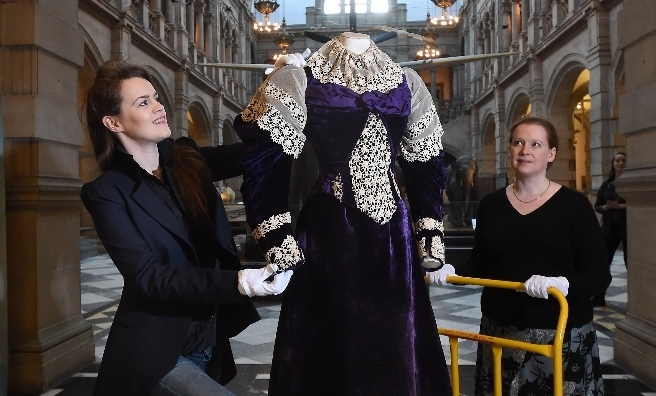 A new exhibition showcasing Glasgow Museums’ stunning 19th century European Costume Collection – A Century of Style: Costume and Colour 1800-1899 – has just opened at Kelvingrove Museum and Art Gallery. 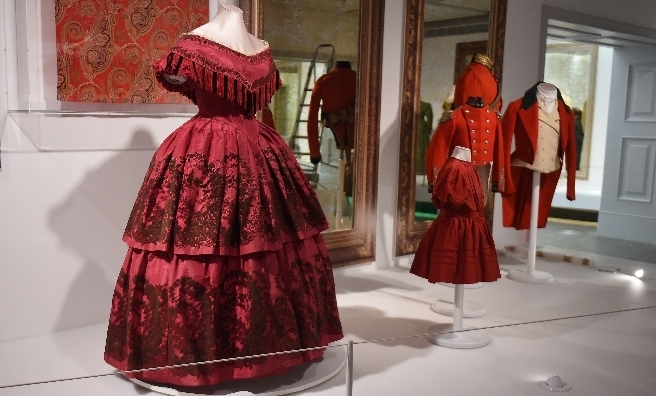 This stunning exhibition brings together highlights from the city’s extensive collection of outfits, displaying rarely seen and meticulously conserved examples of womenswear, menswear and children’s clothing. 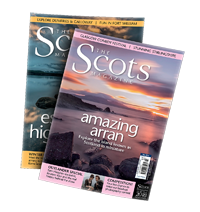 Delicate embroidered cottons, elaborate woven silks, beautiful wedding dresses and opulent evening gowns created by leading Glaswegian dressmakers sit alongside exquisite couture dresses designed by their international contemporaries. 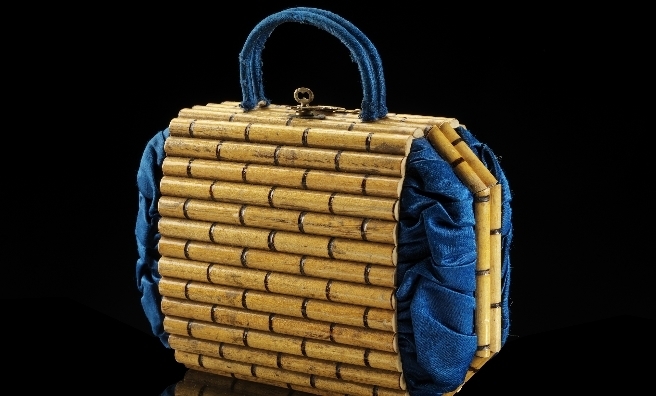 Supporting the collection is a striking selection of accessorises, including delicate jewellery, embellished shoes, original Kashmir shawls, purses and parasols. 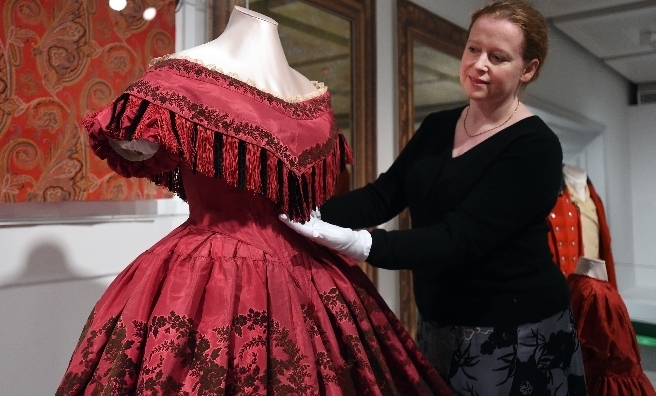 The exhibition explores how, where and, in some cases, for whom the clothes were made, together with the many elements which influenced the styles, materials and colours that dominated throughout the nineteenth century, reflecting the city’s role as a leading textile manufacturer and dominance as a major retail centre. The exhibition focuses on womenswear and is thematically arranged by colour. 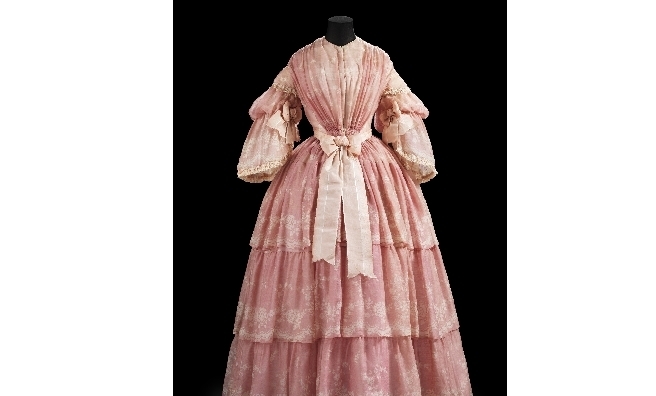 Beginning with ‘Dreich’, it starts with the premise that many people’s impression of clothing during the 1800s was brown or grey, possibly because of the black and white photography of the day, and then looks at the colours were actually available at this time. 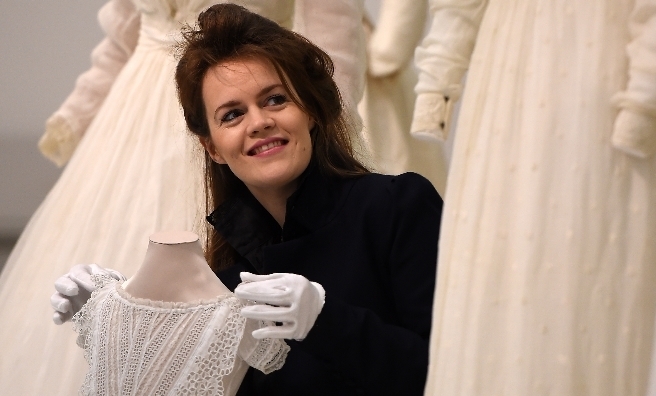 The 1878 wedding dress made for Jessie Morrison Inglis (John Logie Baird’s mother) demonstrates the start of the tradition of wearing white to be married after it was worn by Queen Victoria, while a gorgeous going-away dress worn by the daughter of wealthy Glaswegian stockbrocker in 1899, highlights the popularity of blue as a feminine colour, due to its connotations of fidelity. 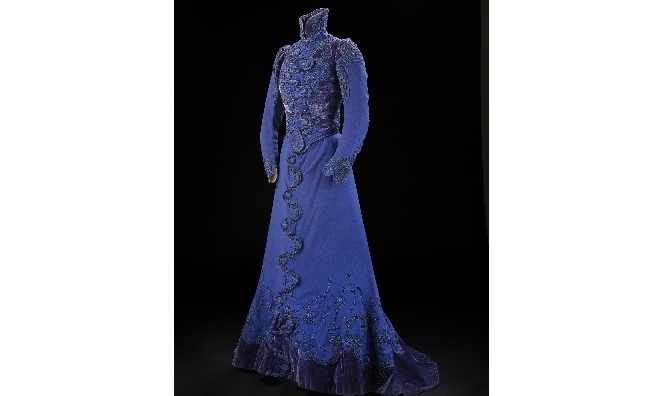 A stunning black French jet beaded dress by one of Paris’ first true couturiers, Merlot Larchevêque, represents the apex of French couture, which leading Glasgow dressmakers and department stores quickly picked up on, including Simpson, Hunter and Young who created a stunning purple velvet dress with leg-of-mutton sleeves in about 1895.